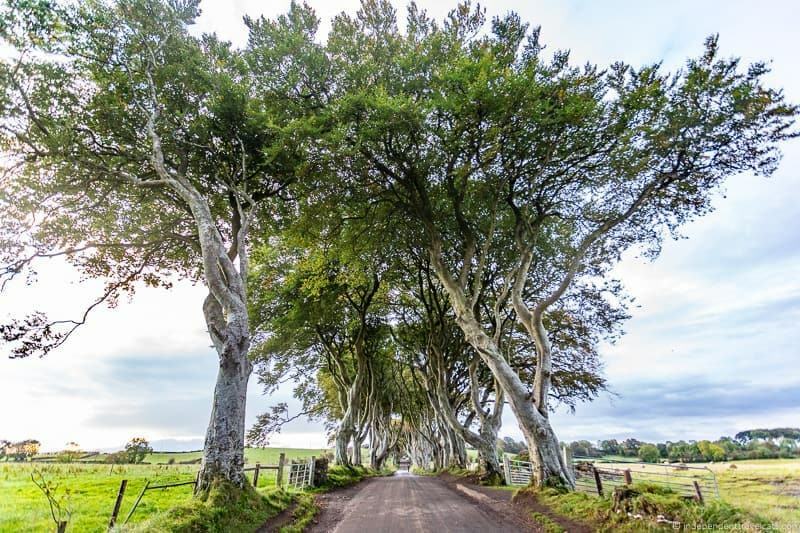 One of the most popular attractions in Northern Ireland is the Dark Hedges, a beautiful row of trees that has been made famous by appearances in TV shows and films such as Game of Thrones. 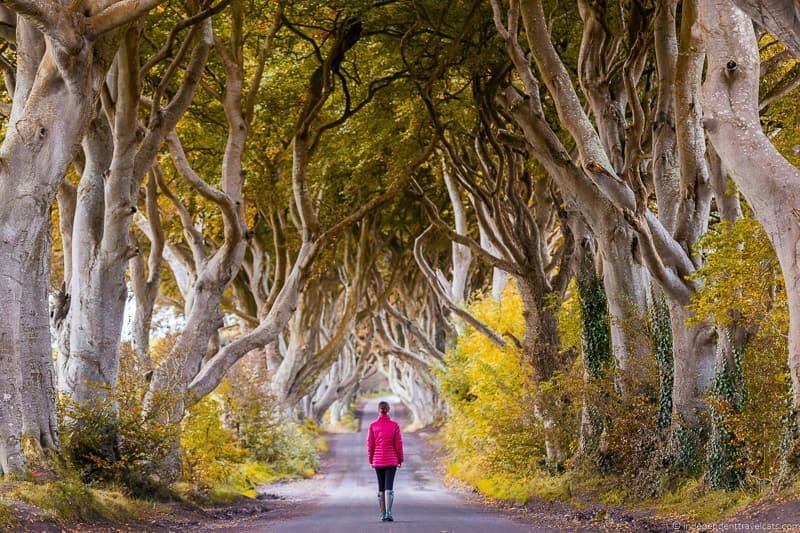 The Dark Hedges make for a popular stop for visitors to Northern Ireland and can be visited as part of a Coastal Causeway road trip or as a day trip from Belfast or Dublin. In this guide, we’re going to tell you everything you need to know to visit the Dark Hedges including how to get there, where to park, tips for photographing the Dark Hedges, how to avoid the crowds, and where you can stay nearby. What is the Dark Hedges? Why are they Called the Dark Hedges? Where are the Dark Hedges Located? How to Get to the Dark Hedges? Where to Park for the Dark Hedges? What is the Cost of Visiting the Dark Hedges? Is the View from the South End or North End Better? Below we’ll share everything you need to know to find the Dark Hedges and make the most of your visit. The Dark Hedges is an avenue of large mature beech trees, which were planted by James Stuart to frame an avenue to his home. 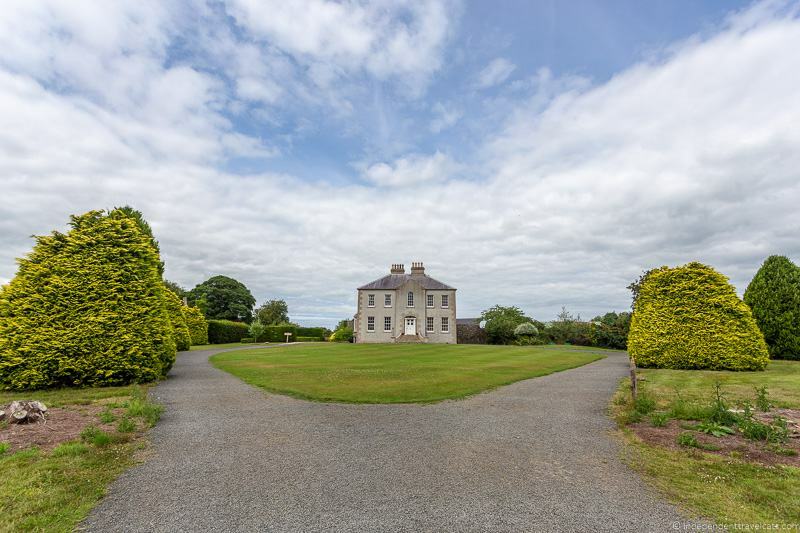 The trees were planted around 1775 when he built nearby Gracehill House. The trees are on both sides of the road, forming a “tunnel” that is between 6 and 10 meters in width. The Stuart family planted the beech trees (about 150 of them!) with the goal to impress visitors arriving to the house. It reminded us a lot of the beautiful oak alleys you find at Oak Alley Plantation and many of the other River Road plantations in Louisiana USA. Today, the Dark Hedges (as they have become known) now stop just before the current gates of Gracehill House. The tree alley is no longer part of the Gracehill estate, but Gracehill House, a Georgian manor house that was originally built as the Stuart family home, is still standing today. The Gracehill House is privately owned and operates as a bar & restaurant, wedding venue, and golf course. So you can still visit the estate for a drink, meal, or to play a round of golf. 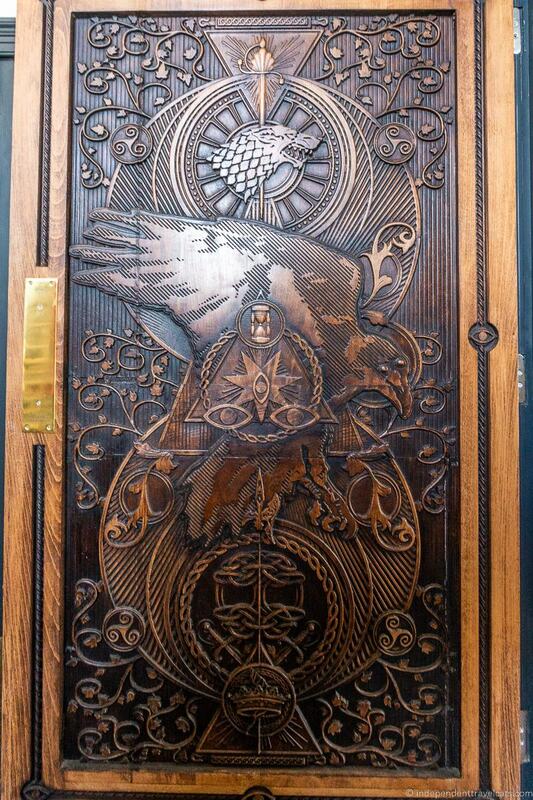 Game of Thrones (GoT) fans in particular may also want to visit the Gracehill House during opening hours to take a look at the GoT themed door (one of 10 around Northern Ireland based on the 6th season of the show). This door was carved from a tree that fell due to Storm Gertrude at The Dark Hedges in January 2016. The trees, which are now nearly 250 years old, are very atmospheric. 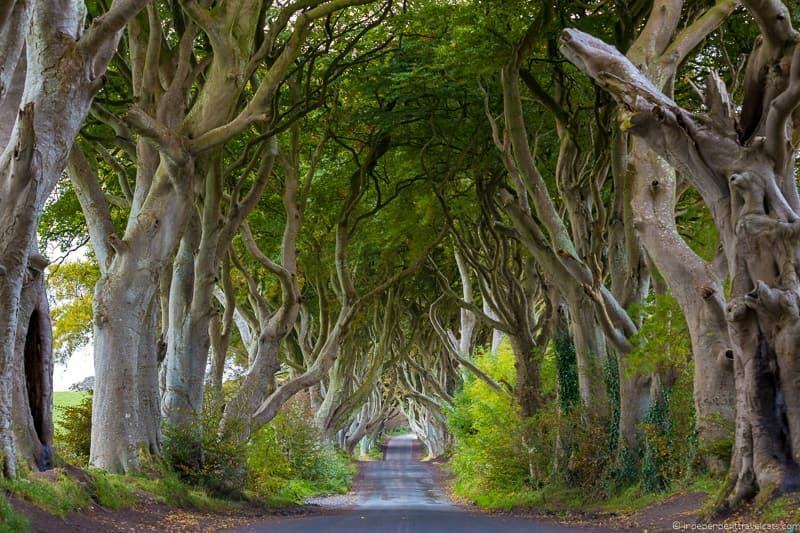 The stunning organic tunnel made famous by Game of Thrones attracts thousands of visitors from all around the world. Time, storms, and damage has caused many of the trees to be lost but around 90 of the original 150 trees are still surviving. It is unclear when exactly or why they got the name of the Dark Hedges, but there are two likely explanations. First, the most obvious explanation is that the massive trees block a lot of the light, resulting in a “dark” tunnel that looks like a hedge. The other explanation is a bit more spooky. The hedges are said to be haunted by a spirit known as the Grey Lady, who wanders the avenue of trees, always disappearing at the last beech tree. It’s said that on Halloween, she is joined by spirits from a nearby forgotten graveyard! Whichever you choose to believe, we think it’s an appropriate name for this gorgeous location! The Dark Hedges are found in County Antrim in Northern Ireland between the villages of Armoy and Stranocum. They can be found on a section of Bregagh Road near The Hedges Hotel. The hedges themselves are around 0.6 miles in length. They are located around 49 miles northwest of Belfast and 150 miles from Dublin. It takes about 1 hour to drive here from Belfast and 3 hours from Dublin. There are three main ways to get to the Dark Hedges: you can drive yourself, you can take a tour, or you can take public transport. The fastest way is probably to drive yourself as it gives you flexibility in terms of time and how long you spend here. It is about a 1 hour drive from Belfast. There is a free parking lot (see parking section below) you can park in to visit the site. If you are driving the Causeway Coastal Route, the Dark Hedges is a short detour off of the route. It is one of the many Causeway Coastal route highlights. If you don’t have a car or want someone else to do the driving, there are a number of guided day tour options that include a stop at the Dark Hedges. These tours also stop at many of the other recommended sites in the area such as the Giant’s Causeway and the Titanic Museum. There are a number of tours that depart from both Belfast and Dublin including tours offered through GetYourGuide (see 20+ options here) and Viator (you can explore 40+ tour options here). We’ve outlined some of our favorite picks in the Tours Section later in the article. It is also possible to get to the Dark Hedges by public transport from Belfast or Dublin. There is no bus stop or train station at the Dark Hedges themselves, but there are some located within walking distance or a short taxi ride. You can check the latest bus routes and schedules here. From Belfast, it’s around 2 hours to 2.5 hours by bus to get to the Dark Hedges. There are a few ways you can do this, but one way is to take the 218 bus from Belfast to Coleraine and then change to the 178 bus at Coleraine. The nearest bus stop to the Dark Hedges is Clintyfinnan about a 20 minute walk from the Dark Hedges. This is currently served by Translink Ulsterbus Bus 178, which runs between Coleraine and Ballycastle. Ask for the stop nearest the Dark Hedges / The Hedges Hotel. If you want to travel by train to the Dark Hedges, you can take the train from Belfast to Ballymoney which takes about 1.5 hours. From there you will need to take a 10 minute taxi ride from the Ballymoney train station to reach the Dark Hedges. Alternatively you can take the train to Coleraine, and then take Bus 178. This way will take longer, about 2.5 hours depending on the connections. If you are driving, then there is a large free visitor parking lot provided by The Hedges Hotel located just off Ballinlea Road. 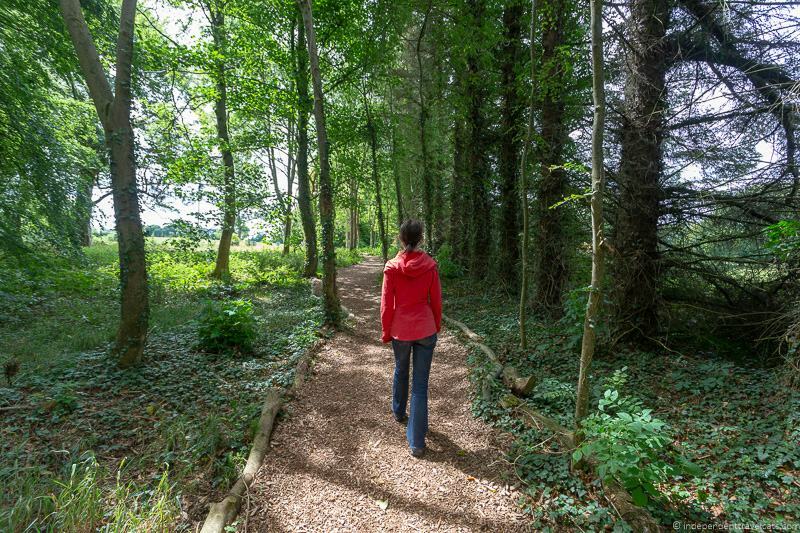 This is an easy two minute walk from the north end of the Dark Hedges. There is a marked path to follow near the parking area to get to the trees. It was previously possible to also park at the south end of Bregagh Road in a small lay-by; however, in 2017 efforts to protect the trees were put in place and this section of Bregagh Road is now closed to vehicular traffic (with the exception of local landowners, emergency vehicles, and the like). So visitors are no longer allowed to drive through the Dark Hedges or park at the south end of the road as they was in the past. The road was closed because people were driving and parking off the road, and this was damaging the trees, with conservationists such as experts from the Woodland Trust, believing that they were unlikely to live more than another 20 years or so if this continued. 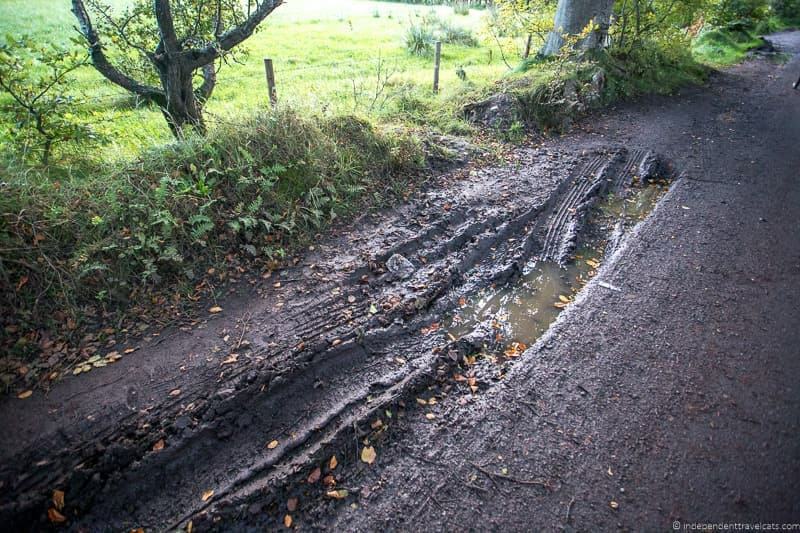 We saw evidence of root damage and lots of car tracks in the mud when we visited last year which made us sad. We are happy they are trying to protect the trees but it is unfortunate that they had to close the road because of bad tourist behavior. Don’t try to park at the entrance to the road as not only can this damage the beech tree roots that are close to the surface, but it will also ruin everyone’s photos. The designated parking lot is just a 2 minute walk away. There is then a nice marked path that leads to the Dark Hedges, and it even includes some fairy houses. Note that high fines (up to £1,000) may be given to motorists attempting to drive or park along the Dark Hedges since its closure. The trees are protected and you should also not attempt to climb the trees, carve into the bark, or cause any damage to the trees. 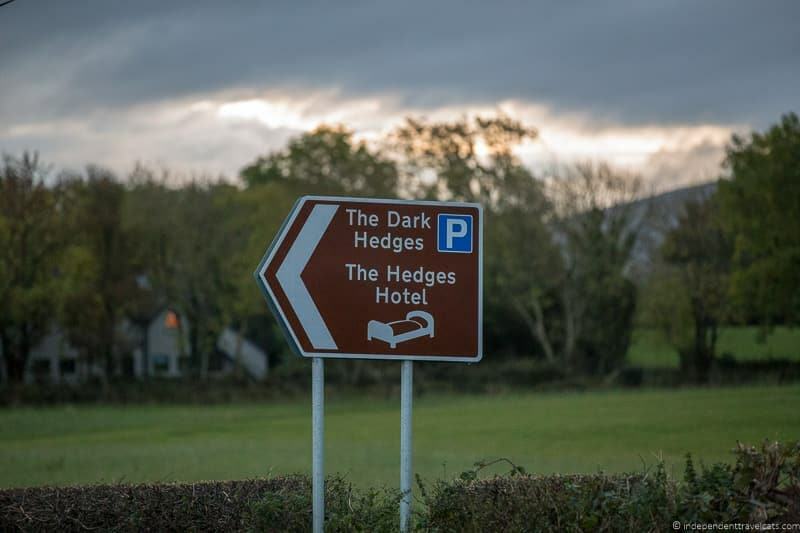 As such, the closest and best parking is at The Hedges Hotel, and we recommend that you park there for the easiest and safest access to the Dark Hedges. This map gives you a quick overview of the Dark Hedges, including the Parking Lot and the main stretch of the road. For reference, the red line is around 0.6 miles in length. It is currently free to park and visit the Dark Hedges. See parking information above for where you can legally park for free. This is just a row of trees along a road so it was not developed as a tourist destination and until recently it was just a short stretch of a normal public road next to farmland. 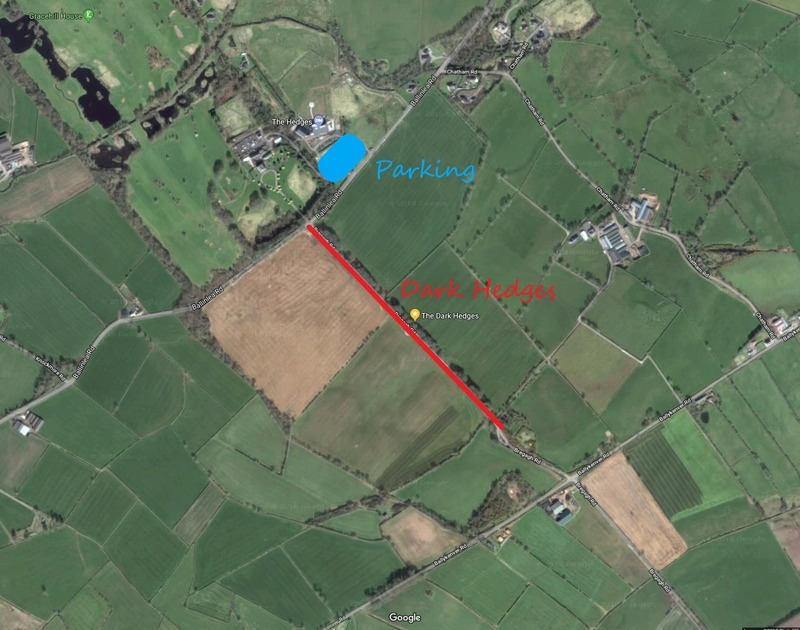 There is a free parking lot next to The Hedges Hotel for visitors to park and a nice path leading from the parking area to the Dark Hedges (you do need to cross a road so keep children close). There is also a small tourist information hut here at the beginning of the walking path that provides local visitor information near the parking area. The info center was closed during our visit. There are no tourist facilities located at the actual Dark Hedges (water, toilets, etc.). However, you have two restaurants located within a few minute walk of the Dark Hedges. The Scullery Bar & Restaurant at The Hedges Hotel serves breakfast, lunch, and dinner and is open to both hotel guests and visitors. Gracehill House also has a bar and restaurant, the BellTower Restaurant, which serves lunch, dinner, bar snacks, coffee, and drinks. Please do not leave trash or waste at the Dark Hedges, and please use the toilet elsewhere! 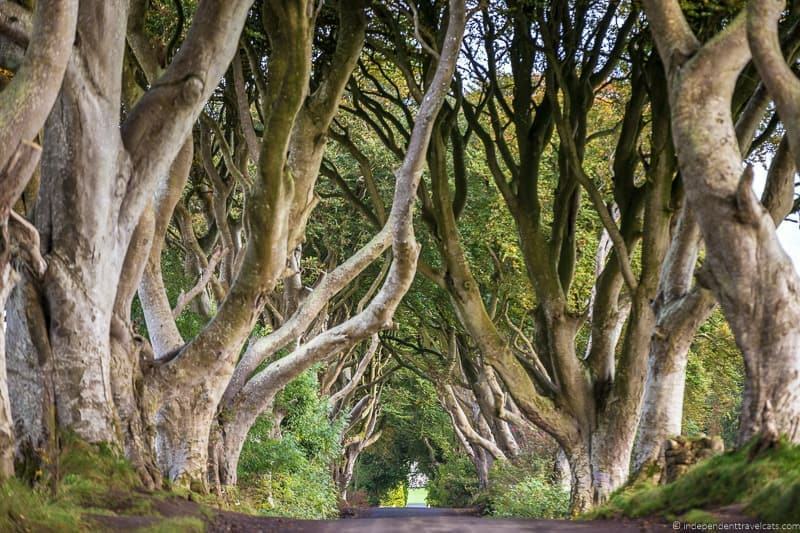 The show that made the Dark Hedges famous was of course Game of Thrones, an epic fantasy American TV series on HBO, based on the best-selling novels by author George R. R. Martin. In the show, the Dark Hedges were used as “The Kingsroad“. This fictional road runs all the way across the land of Westeros, from Kings Landing in the south to “The Wall” in the north. 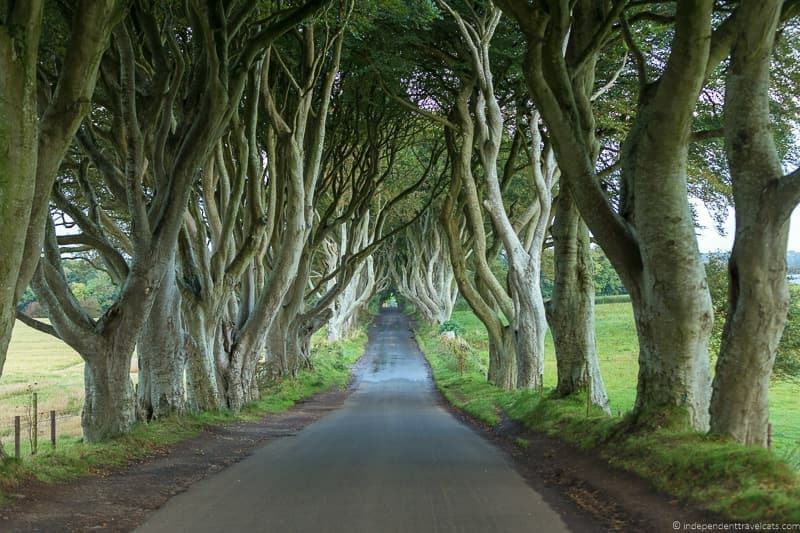 The Dark Hedges appear in the closing sequence of the first episode of Season 2, which is titled “The North Remembers“. In the episode, Arya is seen escaping from Kings Landing in a caravan, which is filmed traveling through the Dark Hedges along the “Kingsroad”. 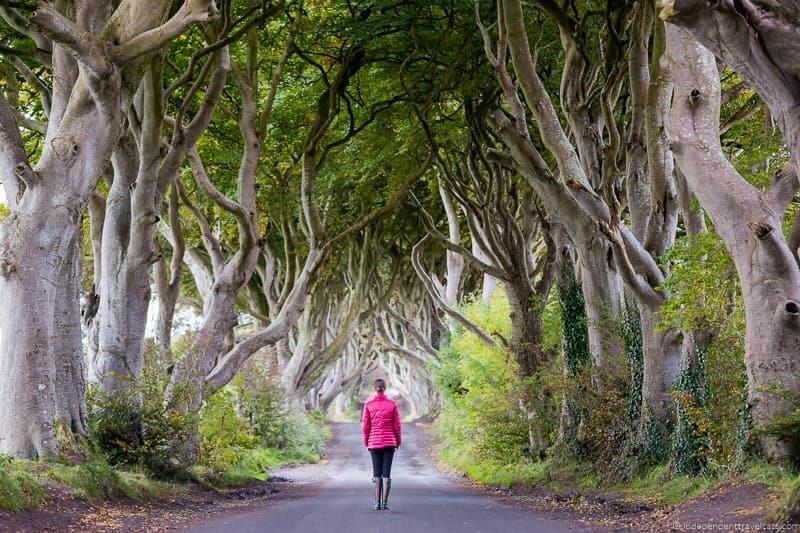 Game of Thrones isn’t the only piece of popular culture to feature the Dark Hedges though. For instance, they also appeared in the Transformers: The Last Knight in a scene in the movie where the magician Merlin is seen riding a horse through the trees. If you aren’t driving yourself in Northern Ireland, then you have a number of tour options, both group and private tours, for visiting the Dark Hedges, both from Belfast and Dublin. 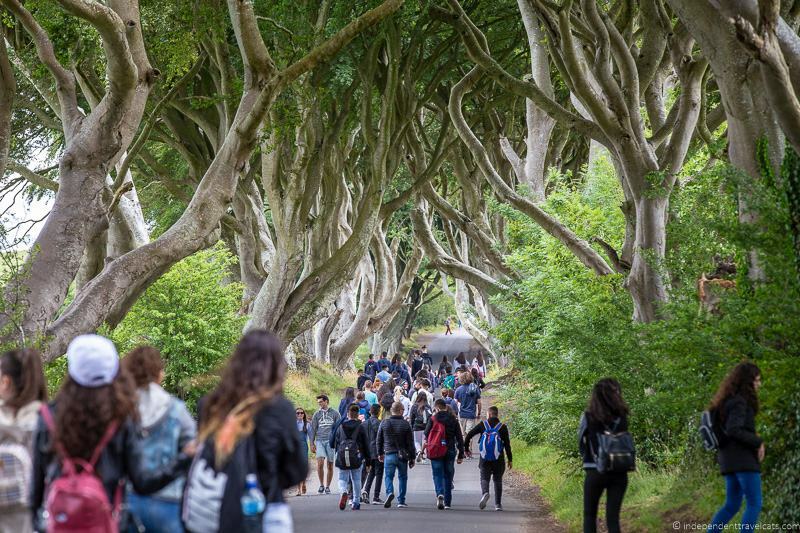 The majority of day tours are of a Game of Thrones theme, and visit a number of locations from the show, as well as other notable attractions including the Giant’s Causeway and the Carrick-a-Rede rope bridge. Even if you’re not familiar with the show though, these tours are worth doing as the scenery and locations visited are beautiful. This day tour focuses on Game of Thrones’ locations and includes stops at Carrickfergus Castle, Carnlough harbor, Giant’s Causeway, Carrick-A-Rede Rope Bridge, the Dark Hedges, and Dunluce Castle. 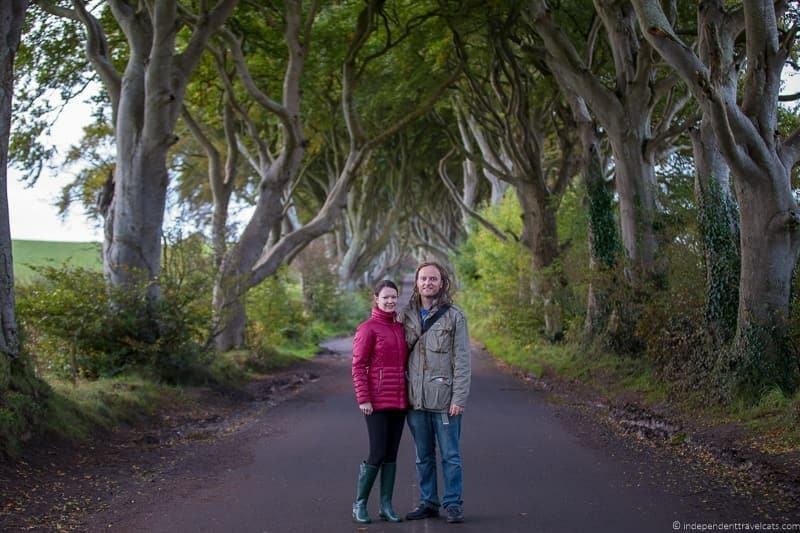 Another private tour from Belfast which includes multiple Game of Thrones locations and a Giant’s Causeway visit. This full day tour from Dublin that includes the Giant’s Causeway, Carrick-a-Rede rope bridge, Dark Hedges, and Belfast. This tour focuses on visits to the Titanic Museum and the Giant’s Causeway with a stop at the Dark Hedges. The Dark Hedges has become an incredibly popular attraction and is one of the most photographed locations in Northern Ireland. The fame from its GoT association has led to an overcrowding at this spot and forced the local authorities to have to close off the road to vehicles. It is also a free attraction so it is often busy. It is difficult to have this place alone as many people visit throughout the day, especially in the busier summer months and holiday weekends. However, the good news is that since the road is now closed to traffic, no one *SHOULD* be parking or driving on the road. However some people ignore the signs and park or try to drive through anyway. Visit off-season. Summer is the busiest travel time and you’ll find fewer travelers here at other times of year. Avoid holidays and long weekends. These are very busy times and it was actually a very crowded Easter holiday weekend in 2017 that made the news and led to the closing of the site to traffic. The Dark Hedges looked like a parking lot! Arrive early or come late. Obviously you don’t want to be here in the dark, but the time around sunrise and sunset are the least busy times of day. Sunrise is particularly good as fewer people will make the effort to get up early. Walk to the furthest end from the parking lot. Most people are pretty lazy and will just snap some photos from the north end and won’t walk all the way to the south end. So that side is normally less busy, and because of the little bends and hills you can’t see all the people on the other end. Don’t be scared away by a little rain or cold. Bad weather will keep some visitors away, particularly rain. Pouring rain is going to make visiting less fun and photography difficult so maybe not worth the visit, but a little drizzle can provide an interesting atmosphere! Be patient. If there are a large number of people, especially people traveling as larger groups, just wait until they leave. Most people don’t spend more than 15 minutes here. We were actually here alone for about 20 minutes when we arrived just after sunrise in October 2017. But these are fairly rare moments, and if you have it to yourself (or nearly so) treasure it! 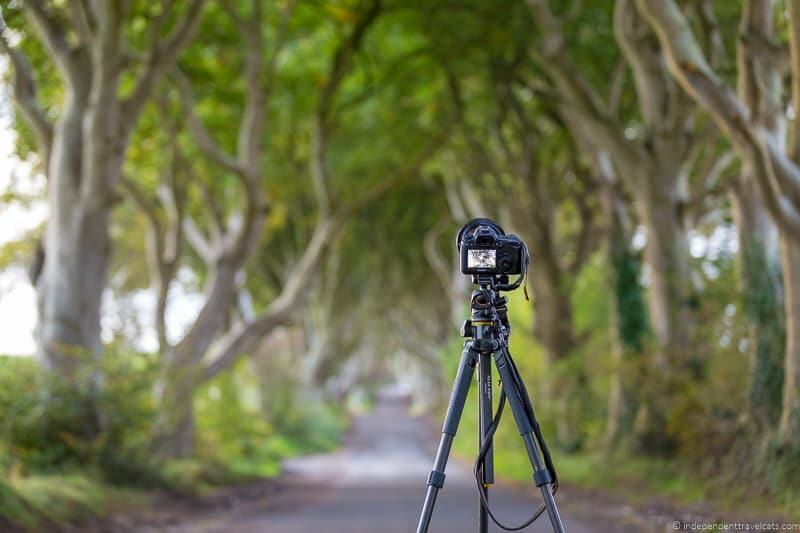 One of the main reasons many people visit the Dark Hedges is to take some beautiful photos, and for this reason, we want to share some photography tips to help you get the best photos of the Dark Hedges. The first major challenge facing you is going to be other people. The Dark Hedges is a very popular attraction and it can be difficult to get natural looking shots with no one (or few people) in them. The best tip for getting shots without people (or with few people) is to come early or come late. You can also use the bends and little hills along the road to block out people who are further away. See the section above on Avoiding Crowds at the Dark Hedges above for more tips. In terms of gear, you will likely want a tripod and a lens that lets you zoom in. We used a Canon 6D full frame DSLR camera paired with a 70-200mm lens for the shots in this article. But you don’t need a professional full-frame camera to get a great shot. If you have a compact camera (e.g, a point and shoot camera), you’ll ideally want one with an optical zoom of a minimum of 3x – 10x such as the Canon Powershot SX730 or the Lumix ZS100. The reason you want a zoom lens is because when you use a longer lens, it creates an effect called lens compression, which makes objects seem closer together than they are. This results in the trees seeming closer together than they are, creating more of a dark tunnel effect. The reason you need a tripod is because, among other reasons to use a tripod, there may not be a lot of light available, especially if you arrive early or late in the day. A tripod can ensure you get clean sharp images that aren’t noisy from high ISO or blurry from low shutter speeds. You can read our guide to travel tripods here if you are considering getting one or want to know more about how to use one. I would check out the views from both ends if you have time. For most of our shots, we went perhaps a quarter of the way along the road from the north end, and pointed the camera towards the south end, which is where the road goes up and around the bend. We took advantage of the slight undulations in the road for camera and subject placement, to get shots where Jess seems to be almost ensconced in the trees. In terms of composition, having something in the center of the shot can be fun, like a person (in our case, the ever patient Jess). Bright colors or a cool costume (Game of Thrones themed perhaps?) can work wonders too! 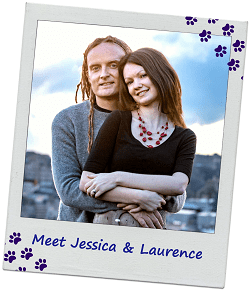 If you’re interested in improving your overall photography, check out Laurence’s online photography course. It is aimed at photographers of any level with any type of camera and allows you to get one-on-one feedback and coaching from Laurence throughout the course! Another popular question is which end of the road to photograph or view the Dark Hedges from. To be honest, this is a matter of personal taste. But here are a couple of photos (taken in the month of October) to give you an idea. Personally, we liked the view from the north end a bit more, as you have the road going up and disappearing around the corner. But both are good views and we recommend seeing it from both sides if you have the time! The closest hotel to the Dark Hedges is The Hedges Hotel, which is a 4 minute walk from the Dark Hedges. This is also located next to the free parking lot. If you want to be as close as possible, this is definitely the hotel to choose. Staying here makes it easy and convenient to visit the Dark Hedges without the crowds! Gardenvale Manor House B&B – Beautiful well-rated 18th-century manor house set within lovely gardens. Great place for a romantic stay. Just a 5 minute drive from the Dark Hedges. Limepark – Luxury historical holiday cottages with kitchens and all the amenities on a restored Georgian farm. Cottages vary in size and can sleep 2 to 6 persons. Great for those looking an upscale self-catering option. About a 6 minute drive from the Dark Hedges. The Armada Inn – A well-rated bed-and-breakfast with well-rated restaurant. Just a 5 minute drive from the Dark Hedges. Mill House Studio Apartment – A modern studio apartment in a tranquil setting on the site of an old flax mill. A good option for families. A 4 minute drive from the Dark Hedges. Dark Hedges Cottage – A well-rated 2-bedroom holiday cottage within a 6 minute drive of the Dark Hedges. Another good option for families. Marine Hotel Ballycastle – A casual 3-star hotel with a restaurant and seafront views in Ballycastle. Located a 2 minute walk from the beach and a 14 minute drive to the Dark Hedges. Ballycastle is a good option for those traveling by public bus and is also where you can get the ferry to Rathlin Island. Campsites: The closest campsite to the Dark Hedges is Charlies Hideaway (5 minute drive), although note this site is for Camping and Caravanning Club members only. Other nearby campsites are Fairhead Caravan Park (15 minutes) and Ballyness Caravan Park (20 minutes away). This part of Northern Ireland has many attractions, so we recommend dedicating at least a full day to exploring the region. But you could easily spend a week in the northern part of Northern Ireland exploring the coastal attractions and visiting Belfast. 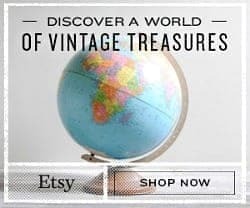 We love this area and if you need any tips, just ask! The Giant’s Causeway, an impressive series of hexagonal basalt columns leading out to sea, is the most famous attraction in the local area. There is also a visitor center, exhibition area, and hiking trails (short walking trails to 5 mile hikes). This is a UNESCO world heritage site and National Trust site and is definitely worth visiting. The Carrick-a-Rede rope bridge, which is a 20 meter long rope bridge suspended 30 meters above the water and rocks below, is another popular attraction. The original bridge was erected by a salmon fisherman in 1755 and links to the tiny island of Carrickarede. It can be scary but fun to cross. Carrick-a-Rede operates a timed ticketing system to limit visitor numbers, so we’d advise arriving here earlier in the day if you can, especially during the busy summer months. Bushmills Distillery – An Irish whiskey distillery dating back to 1784 where visitors can take a tour to learn about the whiskey making process and taste the whiskey. A Causeway Coastal Route road trip is a great way to see the area if you have a few days. It is a beautiful driving route that starts in Belfast and heads all the way around the Northern Ireland north coast to Londonderry / Derry (official name is Londonderry but many refer to it as Derry), with multiple attractions on the way. Attractions include coastal villages, beautiful glens, natural wonders (like the Giant’s Causeway), historical homes, beaches, and whiskey distilleries. Belfast – Although Belfast has in recent times had a lot of “Troubles” and political unrest, the city is moving forward and has become a vibrant and tourist friendly city. The city’s best known attraction is the Titanic Museum. But the city has a lot of attractions, museums, gardens, and pubs to explore! Check out our guide to things to do in Belfast and our suggested 2 day Belfast itinerary to help you plan your time. If you are heading down to Dublin, you may save money with the city discount pass. You can read our full Dublin Pass review to figure out if it will save you money on your trip. If you’re visiting the UK and planning on visiting several historical or cultural attractions, you might save money with a National Trust Touring Pass which allows for free entry to 300+ properties and attractions in Northern Ireland, England, and Wales within a certain time period. Members (like us) get free access at all sites. In Northern Ireland these include both the Giant’s Causeway and Carrick-a-Rede bridge. So that is our guide to visiting the Dark Hedges in Northern Ireland! Have you been to the Dark Hedges? If so, what was the experience like for you? If you haven’t visited, would this make your itinerary? As always, feel free to ask us any questions you may have about the Dark Hedges or things to do in Northern Ireland or elsewhere in the UK or Ireland. 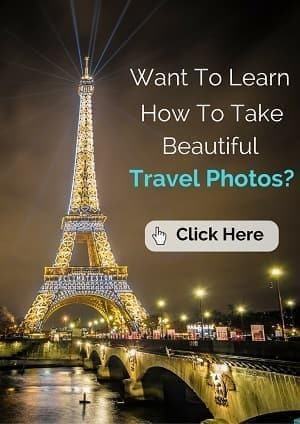 Am a travel photographer. Your tips are really professional. Thanks much. Am driving so I hope to get some good shots of the dark hedges during sunset and sunrise too. 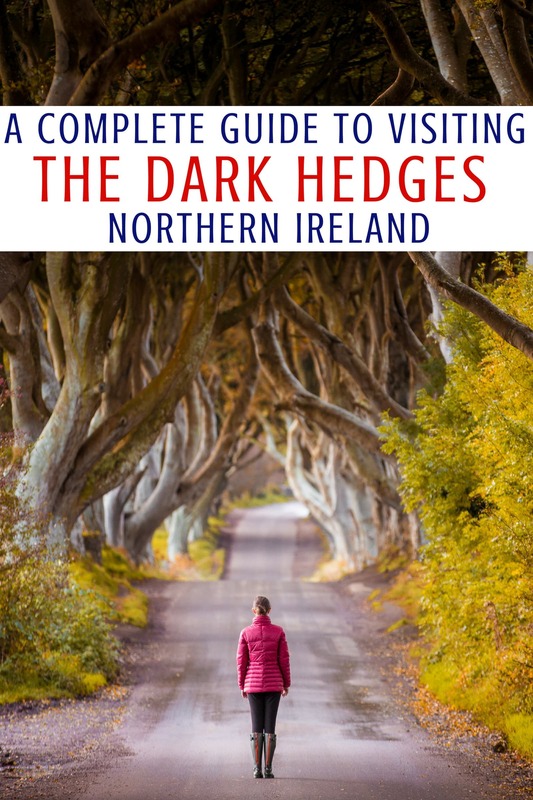 So happy you found our Dark Hedges guide useful. I would not worry too much about doing a day tour. Although there are fewer hours of daylight available during the winter, it will still be daylight during the actual tour stops. If it says you’ll be stopping at the Dark Hedges by 4:30pm, that is actually around sunset that time of year and is a perfect time for photography, in terms of light. A day tour like this one or this one will also allow you to see other awesome places like the Giant’s Causeway. Doing a custom private tour would be your best option if you want to get there early in the morning, but these are often 8 to 10 times the cost of doing a regular day tour. The train/taxi combo would get you there by around 10:00 but would be more costly than booking a day trip and you’d be limited in just seeing the Dark Hedges. Based on your options and cost concerns, I would personally recommend booking a day tour for the day you want to go, and then when you start the tour I’d just make sure you let the tour guide and driver know that you really want to see the Dark Hedges and want to make sure you get there before dark. I don’t think that will be a problem at all. Enjoy your time in Belfast and let us know if you have any other questions about the Dark Hedges or visiting Belfast. Many thanks for your detailed response. That was quite useful. I have booked a day tour as you’ve suggested, will definitely let the driver know about my preferences. In terms of taking photos at sunset, I have noted down some of the tips as you’ve mentioned in your blog. I think the Game of Thrones connection overshadows just how awesome this place looks! Your photos are great and I like being able to see the dark hedges from multiple angles. Cant wait to visit Ireland one day! Oh, we love that photo of Jessica on the road. Well done – something we’ll probably try to recreate ourselves! 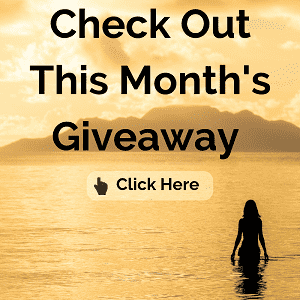 Great guide – thanks for putting it together. Not sure when we’ll be in Ireland again, but Dark Hedges is high on the Must See list, since we didn’t get to Northern Ireland last go ’round. As always, thanks for sharing! This is a fantastic guide and very informative! So interesting to learn that the Dark Hedges were actually planted for a reason and to know where to park! Yes, it really is Tanja! I hadn’t heard of the dark hedges! I think I am one of the few left that have not seen Games of Thrones. It does look magical and I think it would make a great stop on the way to Giants Causeway, which I am hoping to visit soon. Well, they surely do impress – what an entrace to a home. The aerial shot is fabulous – what a long length it is relative to land around it. A strange tree with an interesting name. I’m sure the first explanation for the name is the valid one. The trees obviously block a lot of light. However, the second explanation fits better with the look of these trees. I’m sure it’s not easy to photograph the Dark Hedges, so thanks for the tips.